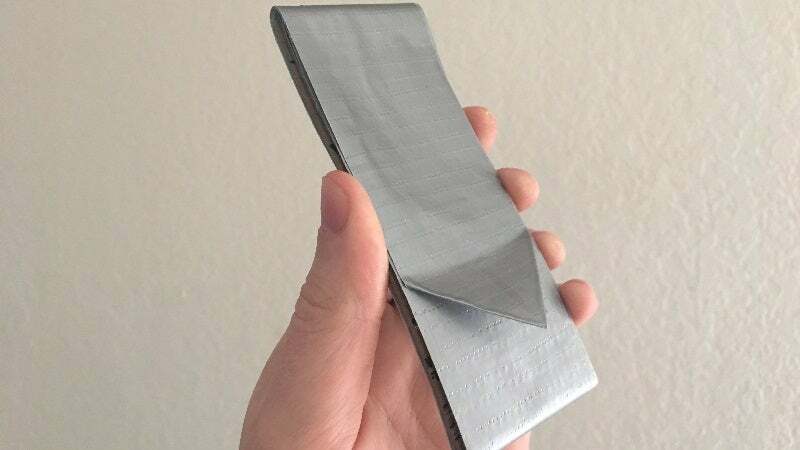 I recently encountered a smart little product called RediTape, which is basically a super thin, pocket-sized roll of man's most versatile tool: Duct tape. Here's how to make a homemade version that's cheaper and more customisable to fit your preferences. It's cheaper: A roll of RediTape is around $US3.50 ($5) and comes with 4.5m of tape. You can buy a 30m roll for cheaper and make six of your own portable duct tape rolls. Plus, RadiTape doesn't ship to Australia. More control: You can decide how much or how little you actually want to put on your portable duct tape roll. Make it as thin or thick as you'd like. Choice of brand: Not all duct tape is made equal. If you have a preferred brand of duct tape, you can stick with that. Also, RediTape only has six colours, but other brands like Duck have 20. Cut a thin piece of cardboard or an index card into a 12cm by 5cm rectangle. Wrap the cardboard with some duct tape to create a base layer. 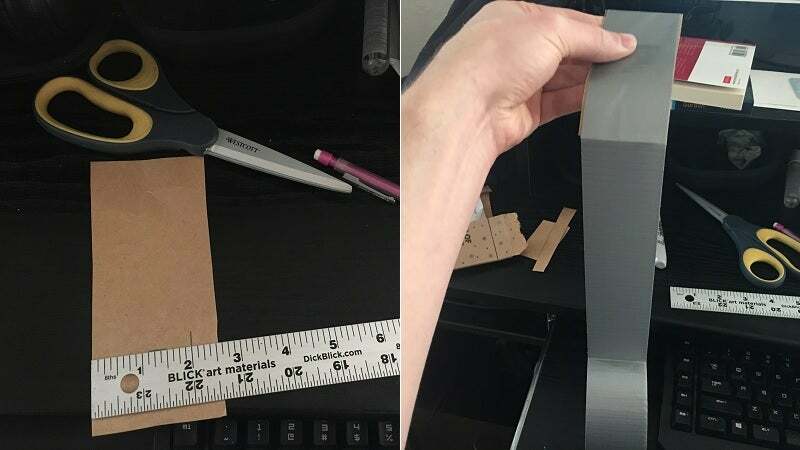 Start a new layer of duct tape and wrap it around the cardboard end-over-end until you have your desired amount. That's it! Now you have a pocket duct tape roll for a fraction of the cost. It only takes a couple of minutes to make, you can make as many as you need and you can re-use your cardboard piece and refill your pocket roll whenever it runs out. I saw MacGyver (old version) just squish a roll once - tried it, works well. Alternatively, pull on the cardboard on the inside of the roll and unspool it until almost all gone. Then squish. 20 seconds, whole roll of tape.